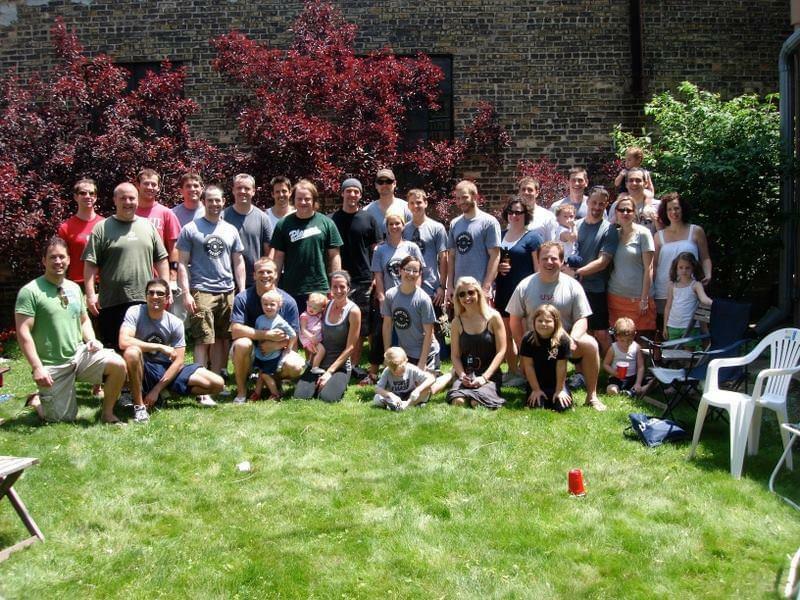 Every year, the Windy City community comes together to celebrate a year of growth, raise money for a charity that is near and dear to our hearts, workout, eat, drink and have lots of fun! This is undoubtedly one of the highlights of our year. Last year, we had over 200 participants and donated over $10,000. To-date, WCSC has donated over $110k to The Navy SEAL Foundation. This will be a fantastic event for a great cause, so please do everything you can to get friends, family, and the greater community involved! In memory of Navy Lieutenant Michael Murphy, 29, of Patchogue, N.Y., who was killed in Afghanistan June 28th, 2005. This workout was one of Mike's favorites and he'd named it "Body Armor." We will honor a focused warrior and great American who wanted nothing more in life than to serve this great country and the beautiful people who make it what it is. His final mission was immortalized in the movie "Lone Survivor." The workout itself is, like most of our workouts, only as tough as you make it. Those that truly want to challenge themselves will do the entire workout, while those who aren't looking to go crazy can either do a half Murph or a quarter Murph. You can partition the pull-ups, push-ups, and squats as needed. Start and finish with a mile run. If you've got a twenty pound vest or body armor, wear it. Per usual, running can be exchanged with rowing/biking and any and all movements can be modified. Remember, this isn't just any old "Saturday workout" so get ready to hang and have a good time. After the workout, you can shower at the facility, go home and shower and come back, or don't shower at all! Enjoy great food and drinks, get to know new members and reunite with old ones. Drinks: The best bartender in the game—Ben Schiller, Fifty/50 Restaurant Group Beverage Director—will be serving up some custom cocktails created just for us. Our friends at Half Acre have donated a keg of Tuna Extra Pale Ale. At 4.7% percent ABV with a pleasant grapefruit / clementine-esque hop bite, it'll be a perfect post-workout BBQ beer. 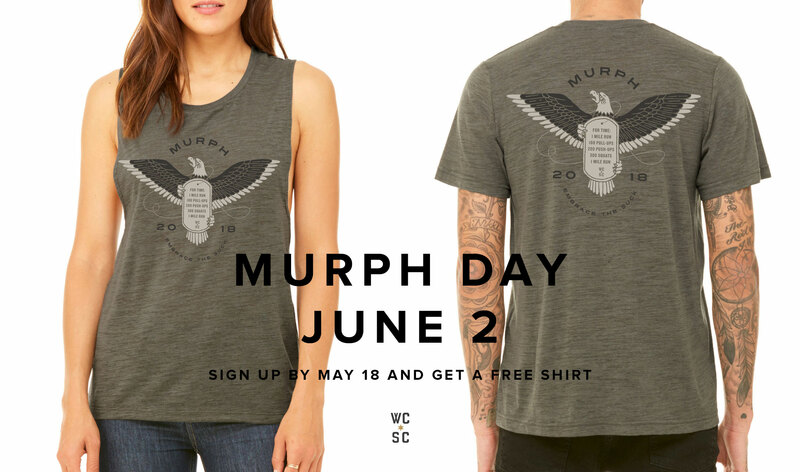 Everyone who signs up for Murph Day gets one free t-shirt. You will be asked to pick your size after you sign up for a heat. 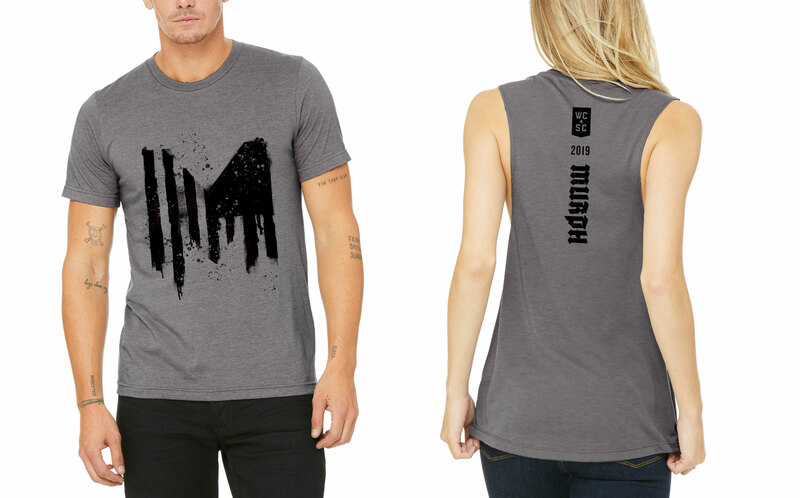 If you sign up by May 15th, your shirt will be available for pickup the day of the event on June 1st. If you sign up after May 15th, your shirt will be available for pick up on June 17th. If you want to order extra shirts, you can buy them here. Similarly, if you order before May 15th, it will be ready June 1st. If after May 15th, it will be ready June 17th. Or you can order extra shirts the day of the event. These shirts will be available for pick up on June 17th. 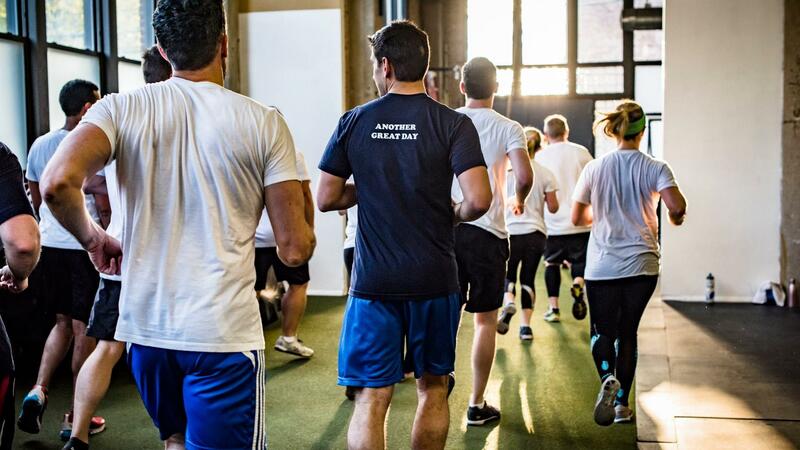 Windy City has been doing this workout for charity since 2008 when Justin Marcis and Dave Regula (currently co-owner of TrAk Athletics in Akron, Ohio) started the tradition out of a storefront on Irving Park with 30 of our original members. Justin and Dave decided there would be no better way to bring a community together, honor a hero, and raise some money for a great cause than to do this workout. At the time, Dave's younger brother was beginning his journey into the SEAL Teams which gave this charity even more meaning. The Navy SEAL Foundation supports the families of Navy SEALs, and over the last 10 years, WCSC has raised over $120k for the foundation. Our good friends at TrAk Athletics in Akron, Ohio will be doing their event the Friday before. This will be the third year that we've done Murph in unison with our friends in Akron.